On Havel/Kim, Where’s the Objectivity? The Western news media reacted to the deaths of two international figures, Czech Vaclav Havel and North Korean Kim Jong-il, by presenting comic-book cut-outs of the two men, following simplistic story lines that missed the more nuanced reality, writes Danny Schechter. The world has said goodbye to two leaders who were worlds apart. One was a widely celebrated anti-communist, the other a widely despised communist. However, the lives and thoughts of both the Czech Republic’s Vaclav Havel and North Korea’s Kim Jong-il were given short-shrift. Havel, the playwright-turned-politician who parlayed human rights activism into becoming Czechoslovakia‘s post-Communist president, was a leader for the pro-democracy Charter 77 Movement, not just a Red-hating politician on a power trip. Yet, the press praised him more for what he opposed than what he believed. The people who loved him adored him for both. Havel was an intellectual, a non-violent revolutionary who also presided over the break-up of his country into two: the Czech Republic and Slovakia. When his era ended, amidst deep economic problems, his country opted to turn right abandoning his humanistic sensibility by embracing American-style aggressive capitalism. On Friday, there will be a procession of Western leaders showboating at his funeral including Bill and Hillary Clinton and leaders from Europe and Eastern Europe. Since his ascendancy to power, the Czech market was opened wide to western investment and military sales. “If he knew what was gonna come, he would never do it. The things he promised he would do for Czechoslovakia never happened. I lived under the dictatorship as you call it in Czechoslovakia and I say that people were much happier then. The system was pro-people; this system we live now is against people and pro a few rich bastards. “Socialism was not perfect but capitalism is pure evil. 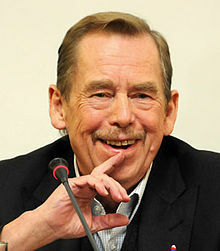 Havel was embraced by the West only as a Cold War anti-communist symbol. The nuances of his philosophy and social critique were ignored. This is not a view you see reported in the Western media. 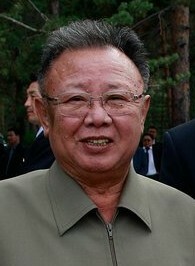 A world away, there were millions in tears to mourn the passing of North Korea’s Kim Jong-il. Few Western leaders have expressed condolences even though South Korea and Japan had the compassion to do so. If he was revered at home with these exaggerated powers, he was just as demonized one-dimensionally abroad. In death as in life, he was presented only as the two-bit dictator of “the Hermit Kingdom” who wore elevator shoes and had a big collection of western movies. How many times have you heard that! That’s about all we heard endlessly. Insult after insult. Despite the constant characterizations of him as bizarre and a maniac, State Department officials who accompanied former Secretary of State Madeline Albright on a visit there told the New York Times how impressed they were with his strategic thinking and how well informed he was. The West saw him, through the lens of our media, only as the embodiment of a hateful communism, stereotyping him as an enemy to be feared, as someone who likely would have been overthrown years ago if he did not have a few nuclear bombs. Like Havel, his views were simplified, but in another direction. He was pictured as the evil villain in a James Bond movie ironically, he had collected them all and his country was the poster child of George W. Bush’s overhyped “Axis of Evil.” In the end, Bush did not prevail in his attack on Kim. In a news world of black and whites, Kim was long blamed for every problem in the country. Yes, the people there are poor, suffer from famine and underdevelopment. They do need help, but refuse it at the expense of their independence and ideology. But have we already forgotten the many decades when South Korea had a U.S.- backed dictator who had collaborated with the Japanese war machine? He was hated by “his” people who protested for years against him, even as the Pentagon backed him and Western investors profited from the economy. The oxymoron of Western “intelligence” was caught napping when Kim died. 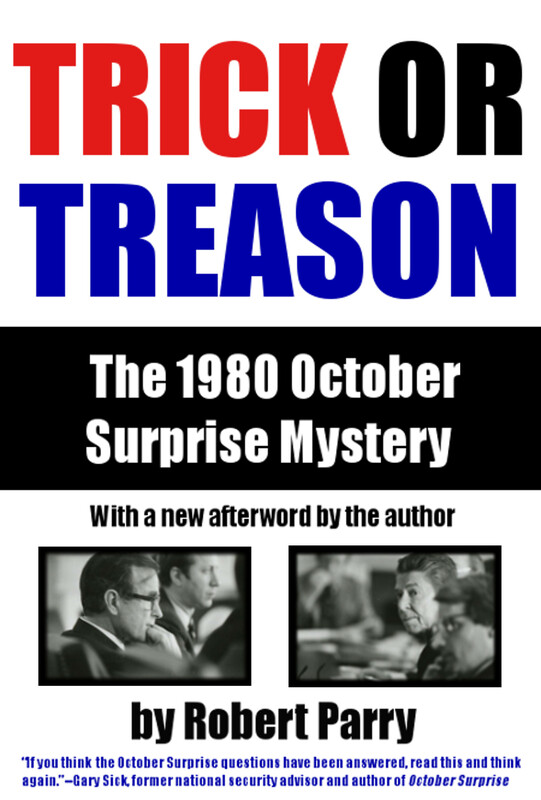 Fears of his son the “Grand Successor” launching a war turned out to be bogus, too. Remember the breathless reports about the U.S. and South Korean militaries “on alert?” However, the transition there went smoothly, and within a few days, we learned that his power will be shared with the country’s bureaucratic military establishment. Kim #3 is on a tight leash. That proved once again how little our media knows about the country and its history of defeating Japanese invaders and frustrating (with Chinese help) an American “police action” under the umbrella of the UN. In our official Cold War narrative, the Korean conflict was blamed solely on a North Korean invasion on June 25, 1950. 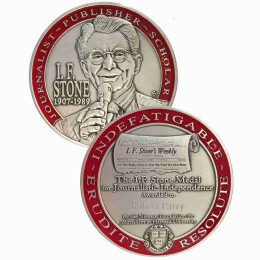 In those years, the legendary journalist I.F. Stone refuted Washington’s fabricated Korea War propaganda. 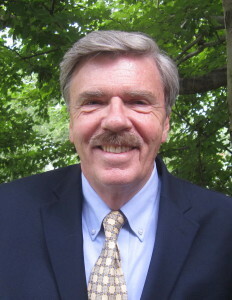 Since then, historians like the University of Chicago’s Bruce Cumings have shown how the North Koreans were provoked and the conflict’s causes were complex. The North Koreans are said to have lost a million people in that war, but the country survived. The people there may not have the “rights” we think we do, but they certainly seem to support their government and system even as human rights abuses are legion and dissidents expose Pyongyang’s policies. So, there is more, much more, to the stories of both Kim and Havel, two men with opposing political orientations, but whose views and roles have been simplified and distorted for myth-making political purposes in our “objective” media. Havel supported that 2003 Iraq war. That’s a big problem for his legacy.